The carbon fiber frame weighs the equivalent of four Samsung Galaxy Note 8 smartphones. 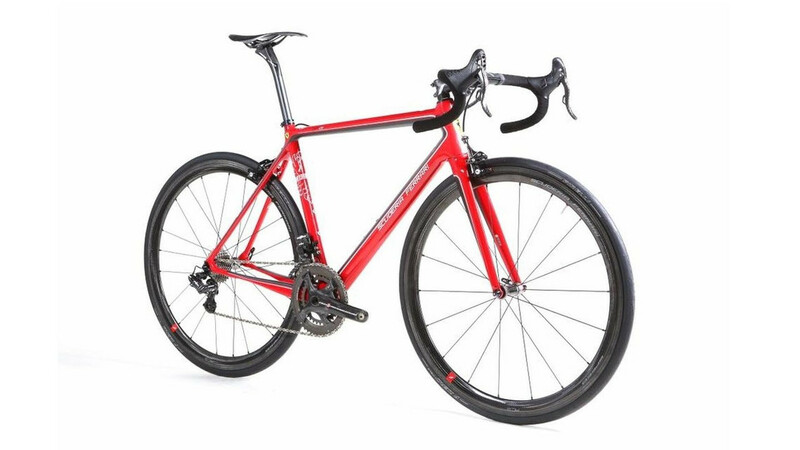 For the first time ever, Italy’s Bianchi and Ferrari have joined forces to work on a bike slated to be offered with either Maranello’s traditional Rosso Corsa or in Nero Setoso with the red and black reversed. Dubbed “SF01,” the new road bike was unveiled this week in Germany on the occasion of the 2017 Eurobike trade show and starts off as a Bianchi Speciallisima before receiving a number of upgrades and Ferrari branding. The new SF01 can be best described as a technological tour de force. 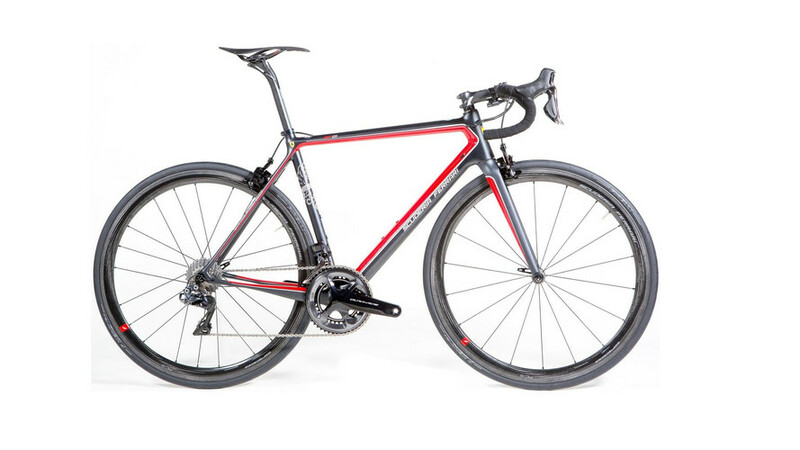 The frame made entirely out of carbon fiber weighs only 780 grams (1.71 pounds) and benefits from a vibration cancelling system able to eliminate as much as 80 percent of all vibrations to ensure a smooth ride. Carbon was also used for the saddle, which tips the scales at just 94 grams (3.3 ounces) and actually takes advantage of the same type of carbon Ferrari is using for the seat in its F1 car. Wrapped in Pirelli P Zero tires, the carbon wheels featuring Ferrari graphics are also extremely light, each weighing merely 1,420 grams (3.1 pounds). The Bianchi SF01 will go on sale starting November in certain areas and will be available in additional parts of the world beginning with 2018. Needless to say, it’s expensive. Like €15,000 (close to $18,000) expensive. It’s far from being the first bike in the world to carry the prancing horse logo, though it’s likely one of the priciest ever made. More are on their way as the two companies are preparing a range of “Scuderia Ferrari”-branded high-end bikes, including road, mountain, e-bikes, city-fitness bikes, and for kids. Ferrari and Bianchi have promised their R&D and design centers will work closely together for these new products. The first fruit of their tie-up, the SF01, will be on display at the 2017 Eurobike event until September 2.